Metacoda work with partner organizations to ensure that their customers maintain a secure SAS® platform. By recommending and using our Metacoda Plug-ins, our partners help their customers to be more productive, follow best practices and produce documentation for security reviews, audits, governance and compliance. 29forward are a BI consultancy organization based in Munich working with SAP and SAS customers mainly in the financial services sector. They’ve partnered with Metacoda to further support their SAS customers with their SAS metadata security management to help keep their SAS platform secure. 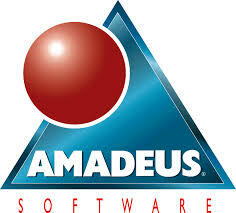 Based in Oxfordshire, Amadeus Software a Gold SAS Reseller Partner have been providing trusted SAS services since 1989. Services include advice and procurement of any SAS product and solution and a comprehensive range of SAS Consultancy, SAS Training and SAS Managed Services. Amadeus have partnered with Metacoda to support their UK customers’ SAS software installations by combining their end-to-end SAS software service capabilities with the benefits of Metacoda Plug-ins. Analytiks International, Inc is a SAS software focused consulting and talent recruitment firm. Analytiks have partnered with Metacoda to support their US customers with their SAS software installations by leveraging the consulting skills of Analytiks together with the benefits of Metacoda products. 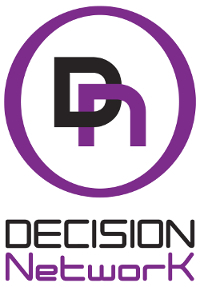 Decision Network is a European consulting group established in 2006. They have a team of experts who specialize in the implementation of Business Intelligence projects. They are involved in all stages of a project including expert technical advice, design, development, training and support. Decision Network help their customers to simplify the administration of SAS metadata security using Metacoda Plug-ins. Knowit are more than 1,800 specialists in Sweden, Norway, Finland, Denmark, Germany and Estonia. Together with their clients, they operate at the intersection between strategy, creativity and technology. Across Nordics they have three SAS® Competency Centers helping their clients getting value out of their SAS investments. The collaboration with Metacoda is a cornerstone in their offering, adding value to SAS installations and projects. Maestro Consulting is a South African company with a passion for service excellence. With a strong background in the Financial Services, Technology and Telecommunications industries Maestro Consulting has been exposed to a wide variety of practices and methodologies, positioning them to assist their clients in meeting their objectives. The Maestro Consulting service offering spans the domains of business intelligence solution development, platform and application support as well as system and process optimization. As a SAS silver partner and re-seller they have partnered with Metacoda to enhance their customer centric offering by providing efficient SAS metadata security management with Metacoda software. OCS Consulting is an international SAS consultancy specialised in Data Analytics solutions. They do this primarily with data from the Life Science and Insurance & Banking sector. They have solid experience in these sectors and within highly regulated and controlled environments since 1998. Their focus is to maximize the value of your existing software environment and to provide a flexible extension to your data analysis resource requirements. They constantly invest in quality, flexibility and creativity to contribute to the success of both clients and staff. OCS Consulting have partnered with Metacoda to support their customers’ SAS software platforms by combining their service capabilities with the benefits of Metacoda Plug-ins. Overton Technologies provides advisory, development, implementation, and consulting services focused specifically on providing effective solutions to combat financial crime and maintain regulatory compliance within the banking and financial services sector. Overton Technologies also develops solutions to improve business processes using reporting, data visualization and analytics as well as sound data management techniques. Real Numbers specialize in the development of business intelligence and data repository solutions in many business areas from health, insurance, banking and education. Real Numbers provide consulting services that leverage the full potential of an organization’s data infrastructure and information delivery systems. Real Numbers help SAS customers implement innovative business intelligence solutions. Real Numbers have partnered with Metacoda to help their customers confidently manage their SAS metadata security implementations. SAS Institute Australia provides technical expertise to their licensed customers in the Australia and New Zealand region. The team understands that their customers’ success may depend on how effectively the site can put SAS technology to work – so their mission is to empower customers to achieve their business goals by providing the highest level of technical support. SAS Institute Australia have partnered with Metacoda to assess and troubleshoot SAS security metadata for their customers, and as part of their remote SAS administration services. Named after Thoth, the Egyptian god of wisdom, Thotwave is a privately held corporation with a rich history of software excellence and integrity, providing thought leadership in the business intelligence community. ThotWave serves customers as their trusted advisor for improving and accelerating analytics capabilities. They guide health and life science organizations to cultivate the people, processes, and methodologies to support healthy populations. ThotWave Technologies offers Metacoda software to their customers in the US as part of their SAS analytics administration services. Zencos deliver business intelligence solutions through expertise, people and partnerships. They achieve success with an ironclad work ethic, talented resources, and by delivering quality solutions on time and on budget every single time. Partnering with Metacoda, they’ll be extending their offering to provide customers operational efficiencies with their SAS metadata security platforms. Do you work with organizations who use SAS software? Our Metacoda Security Plug-ins help organizations to manage SAS metadata security for their installations. Partnering with Metacoda can help you to further improve your services by offering your customers the benefits of improved productivity through enhanced metadata visibility. We provide a flexible approach to partnering, offering a package tailored to your needs. To find out how you can become a Metacoda partner, contact us.